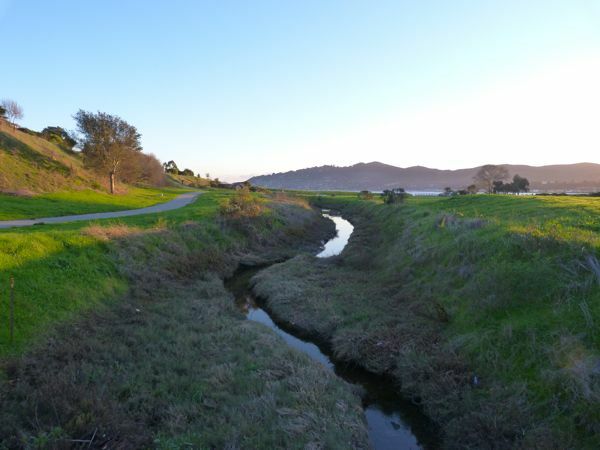 This afternoon's walk segment, on a beautiful, clear, December day, was a continuation of a previous walk, after a brief break in between. 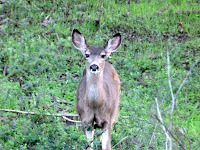 It's a subject few people talk about (except distance hikers perhaps). Restrooms are an important part of long-distance walking. A big thank you to those who provide and maintain facilities in parks and public spaces. Without this service, bikers and hikers would have to ride or drive miles into town and back. 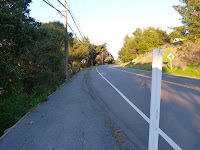 And, today, I wouldn't have had time to walk the last part of Trestle Glen (that connects Tiburon Blvd. with Paradise Drive), if there hadn't been facilities near Blackie's Pasture. 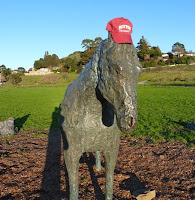 After admiring a new piece of headgear (a red Boston University ball cap) on the statue of Blackie* (a horse), I followed the asphalt trail toward the intersection of Tiburon Blvd. and Trestle Glen. 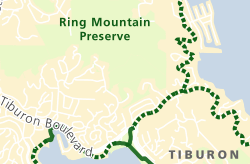 After crossing Tiburon Blvd., I hiked up Trestle Glen (the first solid, dark green line is considered part of the official developed Bay Trail, with wider setbacks for pedestrians and cyclists), as far as a white road marker, where I'd left off earlier this afternoon. 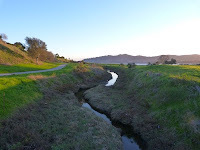 I then turned around and walked back down to Blackie's Pasture parking lot to my car, just as the light was fading and the shadows were lengthening. 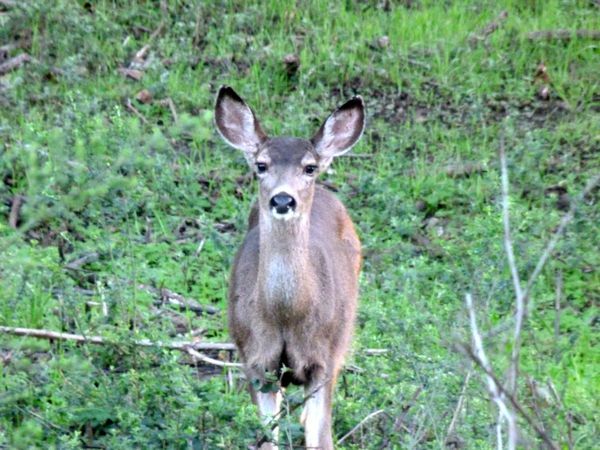 I enjoyed seeing two deer, very close to the spot where I'd spotted a pair of deer on my first walk around the Bay Trail a few years ago. I couldn't help but wonder if these were the same deer. *Mysterious hats, scarves, bandanas and other gifts of clothing tend to show up on Blackie, a beloved local horse who left this world several years back.